Why should Tulsa residents buy the 2019 Chevrolet Equinox? 2019 Chevrolet Equinox is a five-seat Compact SUV that will not leave anyone indifferent with its attractive design and powerful performance. Spacious and comfortable, it is also suitable for city driving as well as for highway riding in Tulsa, OK. The new Equinox comes with a long list of advanced technology, so you’ll enjoy the fun and relaxing driving. 2019 Chevrolet Equinox provides a fun and dynamic driving experience with excellent handling on twisted roads. This SUV offers a choice of three engines and excellent fuel efficiency. The optional1.6-liter turbodiesel is the most fuel-efficient engine in the whole lineup. It comes standard with front-wheel drive and available all-wheel drive. 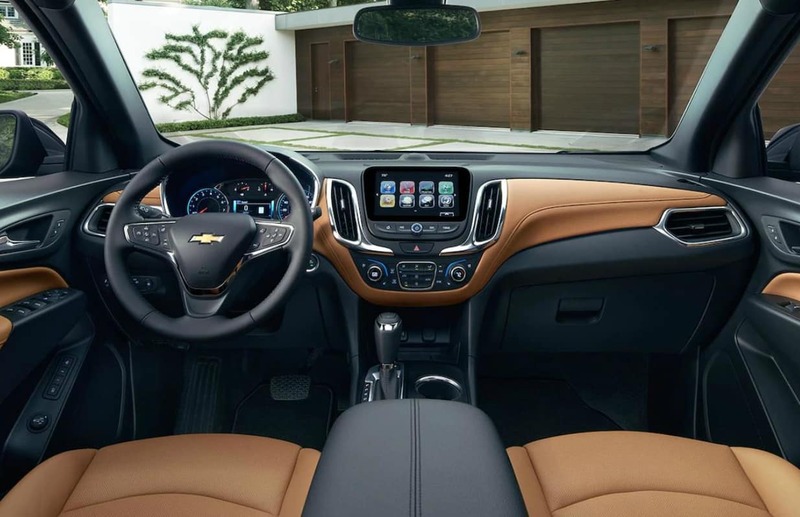 2019 Chevrolet Equinox comes with the advanced technology of the latest generation that will make the driving experience even more fun and enjoyable in Tulsa, OK. Come and visit Keystone Chevrolet to own your favorite Equinox. There are many more interior features that will customize your Equinox to your needs. 2019 Chevrolet Equinox is an attractive SUV with seats for 5 passengers and comes standard with cloth upholstery. It has a nicely designed interior and well-configured cabin that offers plenty of space both on the front and rear seats. The new Equinox comes with very comfortable and supportive seats with plenty of head- and legroom that provide a pleasant ride, even on long-distance journeys. Available interior equipment includes leather upholstery, power-adjustable front seats, heated both front and rear seats, ventilated front seats, and a heated steering wheel. The 2019 Chevrolet Equinox held up well in crash tests and earned the highest ratings from the NHTSA. 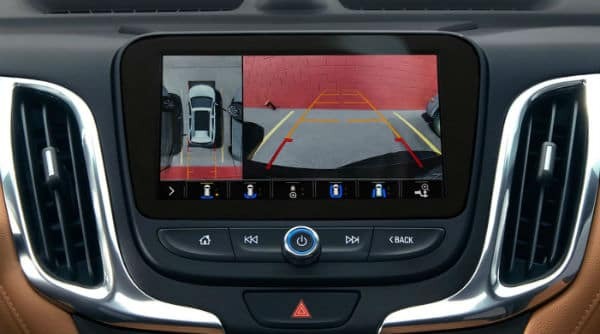 Equinox comes with plenty of driver and safety assists features. You and your family can move safely and worry-free around Tulsa, OK.
To buy your 2019 Chevrolet Equinox or any other new or used Chevrolet model, the Keystone Finance Center has prepared fantastic offers for you to find the one that will fit into your lifestyle. Finance Center from Keystone Chevrolet serving Tulsa, OK is blessed with a team of professionals who have experience and knowledge to make the best deal for you. At any time, you can contact our financing experts for online support or call us and schedule your appointment in order to discuss your financing options. Whether you want to buy or lease some of the Chevrolet models, Keystone Chevrolet serves Tulsa, OK and surrounding areas and we will be happy to meet all your requirements for your perfect vehicle. We offer a wide selection of new and used vehicles to meet the taste and needs of every driver. If you are looking for an attractive sedan, a powerful SUV, versatile truck or commercial van, visit Keystone Chevrolet serving Tulsa, OK and choose your vehicle, and we will make every effort to get you the best deal. 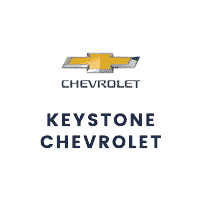 Keystone Chevrolet is looking forward to serving Tulsa, OK, so visit us to see for yourself the quality of the services we have tailored for you. This 2019 Chevrolet Equinox LS is offered to you for sale by Keystone Chevrolet. Want more room? Want more style? This Chevrolet Equinox is the vehicle for you. There is no reason why you shouldn't buy this Chevrolet Equinox LS. It is incomparable for the price and quality. This is the one. Just what you've been looking for. You could keep looking, but why? You've found the perfect vehicle right here. This outstanding example of a 2019 Chevrolet Equinox LS is offered by Keystone Chevrolet. Want more room? Want more style? This Chevrolet Equinox is the vehicle for you. You can finally stop searching... You've found the one you've been looking for. There is no reason why you shouldn't buy this Chevrolet Equinox LS. It is incomparable for the price and quality. Just what you've been looking for. With quality in mind, this vehicle is the perfect addition to take home. You can find this 2019 Chevrolet Equinox LS and many others like it at Keystone Chevrolet. Want more room? Want more style? This Chevrolet Equinox is the vehicle for you. The Chevrolet Equinox LS will provide you with everything you have always wanted in a car -- Quality, Reliability, and Character. Based on the superb condition of this vehicle, along with the options and color, this Chevrolet Equinox LS is sure to sell fast. There is no reason why you shouldn't buy this Chevrolet Equinox LS. It is incomparable for the price and quality. This outstanding example of a 2019 Chevrolet Equinox LS is offered by Keystone Chevrolet. Want more room? Want more style? This Chevrolet Equinox is the vehicle for you. This is about the time when you're saying it is too good to be true, and let us be the one's to tell you, it is absolutely true. There is no reason why you shouldn't buy this Chevrolet Equinox LS. It is incomparable for the price and quality. The Chevrolet Equinox LS will provide you with everything you have always wanted in a car -- Quality, Reliability, and Character. Keystone Chevrolet is excited to offer this 2019 Chevrolet Equinox. This SUV gives you versatility, style and comfort all in one vehicle. Based on the superb condition of this vehicle, along with the options and color, this Chevrolet Equinox LT is sure to sell fast. This is about the time when you're saying it is too good to be true, and let us be the one's to tell you, it is absolutely true. You've found the one you've been looking for. Your dream car. Contact Keystone Chevrolet today for information on dozens of vehicles like this 2019 Chevrolet Equinox LT. Want more room? Want more style? This Chevrolet Equinox is the vehicle for you. You've found the one you've been looking for. Your dream car. You can finally stop searching... You've found the one you've been looking for. Just what you've been looking for. With quality in mind, this vehicle is the perfect addition to take home.